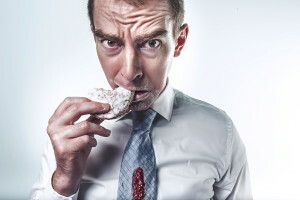 Not everybody realises the duplicity exhibited by many major food corporations – on the one hand profiting from the sale of high sugar/high fat/high salt processed foods, and on the other claiming to support good nutrition choices. This opinion piece in the New York Times, by a former executive vice-president in a major food company, calls it the way he sees it – that change has to come from the public and governments, as there is too much profit to be made through the sale of junk food for the industry to ever change from within. It’s an interesting article worth reading.